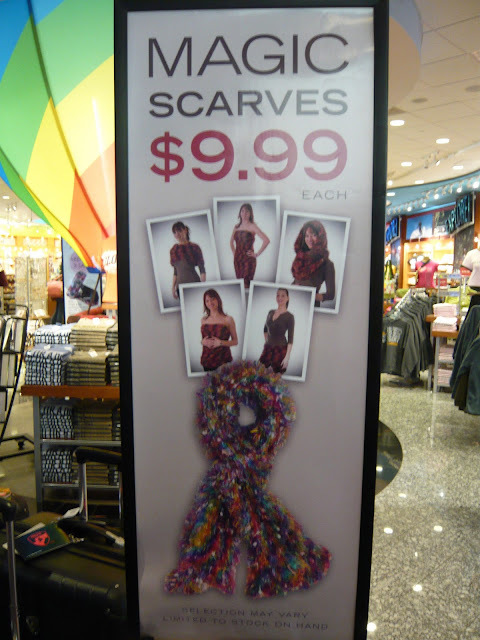 While waiting in line at the Colorado Springs airport recently, I noticed a large sign in the gift shop for Magic Scarves. 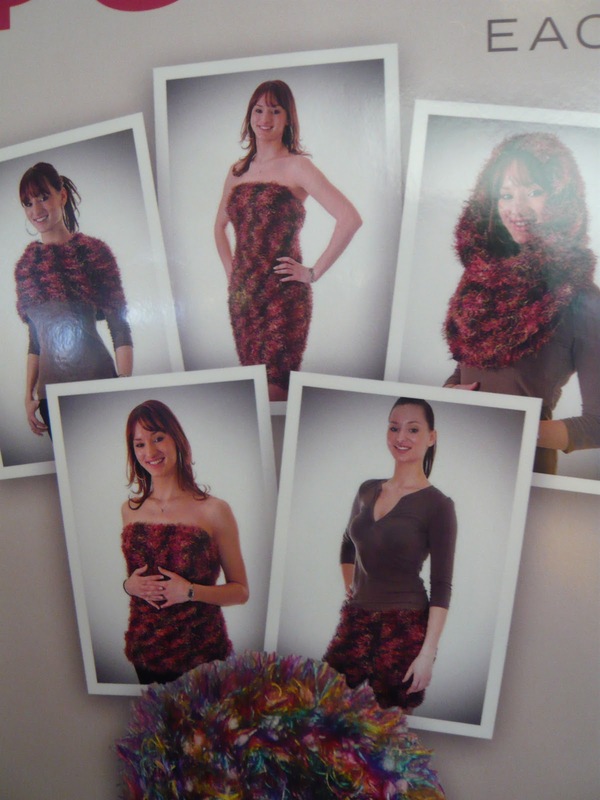 They obviously really wanted people to buy them, so a young woman on the poster was modeling some of the various ways they suggest you could wear a Magic Scarf. Now, before I progress, I will tell you that I own a few Magic Scarves. Given, I haven't worn them in quite a few years, but there was a time they were all the rage. So, please don't think I am bashing Magic Scarves for all you Magic Scarf owners. I actually broke rank in the waiting-to-get-through-security line just so I could go and take these pictures of the poster... while everyone else watched with looks of why-in-the-heck-would-she-give-up-her-place-in-this-long-line-to-take-a-picture-of-the-Magic-Scarf-poster. But I just got out my camera and tried to hold it steady through my giggles and the ignoring of aforementioned looks. See the nice young woman? See how she's saying, "There are so many ways to wear the Magic Scarf! It's practically endless in possibility! And that's why it's magic!" Now hear me saying, "Nooooooo!!!!!!!!!" 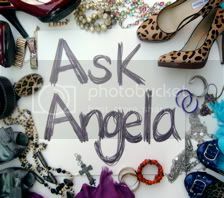 Just because something can be worn a certain way does not mean that it should. See how her hands are clasped in front of the Magic-Scarf-As-Strapless-Shirt option? Read: If I move my hands my shirt will fall down. Now that could be very awkward. The thing is, Magic Scarves do not hold themselves up. And when stretched out, THEY'RE SEE THROUGH! They're crotched, people... there are holes! Hey, I'm all for Magic-Scarf-As-Shawl and Magic-Scarf-As-Cape-Type-Thingy. In fact, the shoulder option can look down right fancy with a glittery broach securing one side. I'm even all for Magic-Scarf-As-OHMYGOSH-Scarf, because they're fuzzy and warm. But, please, as my fashion tip to you, do not try and make it a stand-alone article of clothing. It just. doesn't. work. people. No matter how many airports you see that sign in.